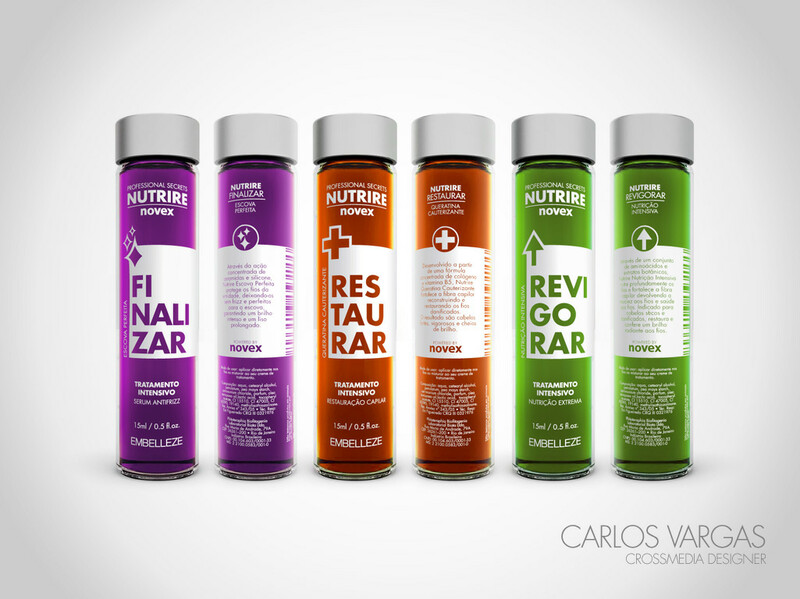 Package design and communication for Nutrire line of products from Embelleze. 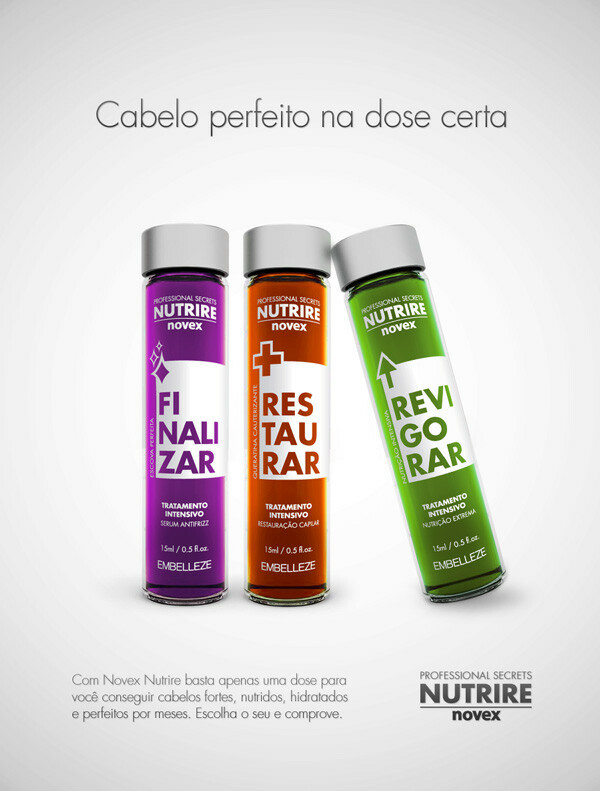 Nutrire was introduced in late 2010 as a new product line released by Embelleze to target the growing market of small vial treatment sold most usually in pharmacies. The goal was to project a product/brand that would stand out from competitors on the shelves. 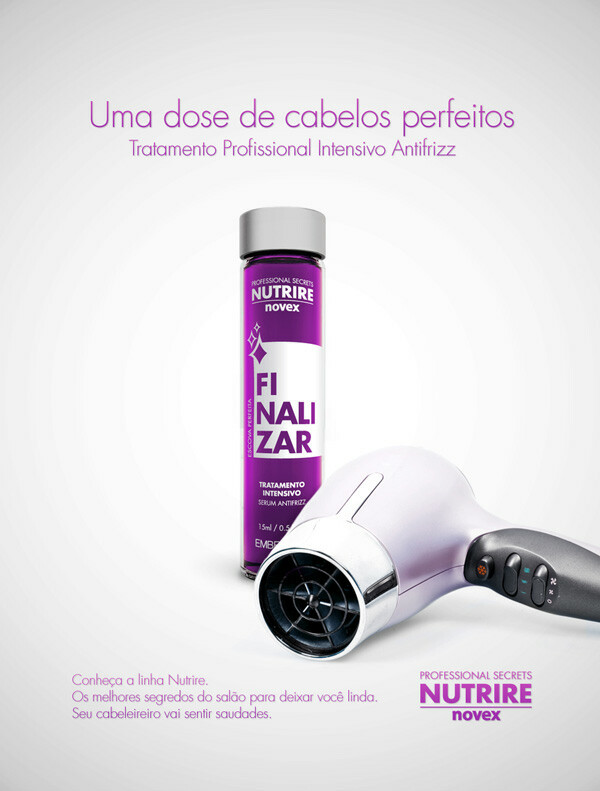 The concept was to make the product resemble a magical potion that would provide the desired result - the secret potion containing the secrets of hair salon professionals.